MediaMonkey is a powerful media manager designed for the serious collector that will help you manage your audio and video library. MediaMonkey catalogs audio and video files, whether they're located on a hard drive or network, dividing them into different 'collections' (e.g. contemporary, classical music, audiobooks, home movies, tv, videos). It looks up and tags Album Art and data via Freedb and the web, includes an automatic renamer to rename and organize files, and a playlist manager to arrange your mixes. MediaMonkey allow you to play most popular media formats (MP3, *AAC/M4A, OGG, WMA*, MPC, APE, FLAC, ALAC, WAV, WMV, *AVI, *MP4, *MKV, etc.) and have volume levels adjust automatically (using Replay Gain and MP3 Gain technology). Moreover, it supports hundreds of scripts, plug-ins and visualizations to further customize it to meet your needs. MediaMonkey lookup CD information on Freedb or via CD-TEXT, and find missing track details through music-related sites such as Allmusic. Furthermore, It allows you to tag music easily using industry-standard formats. MediaMonkey includes an MP Tag editor (an ID3 tag editor supporting ID3v1 & ID3v2) that will help you update your tags quickly and accurately, if you have a large media collection. MediaMonkey is also able to burn Audio CDs using the integrated burner powered by PrimoBurner. Just select any audio tracks or playlists and quickly create CD masterpieces using the most reliable CD burning engine around. 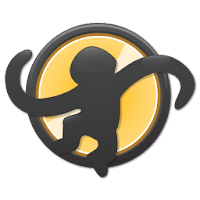 Disclaimer: Direct downloads for the lastest version of MediaMonkey 4.1.17.1840 are provided by the official software's author, we can't guarantee safety, availability or download speed. Moreover, we don't and we won't provide any pirated/illegal versions or tools. We recommend you to avoid it as these methods can harm your device. If you like the software, buy it to support the developers. (We provide software discounts for many worldwide brands).